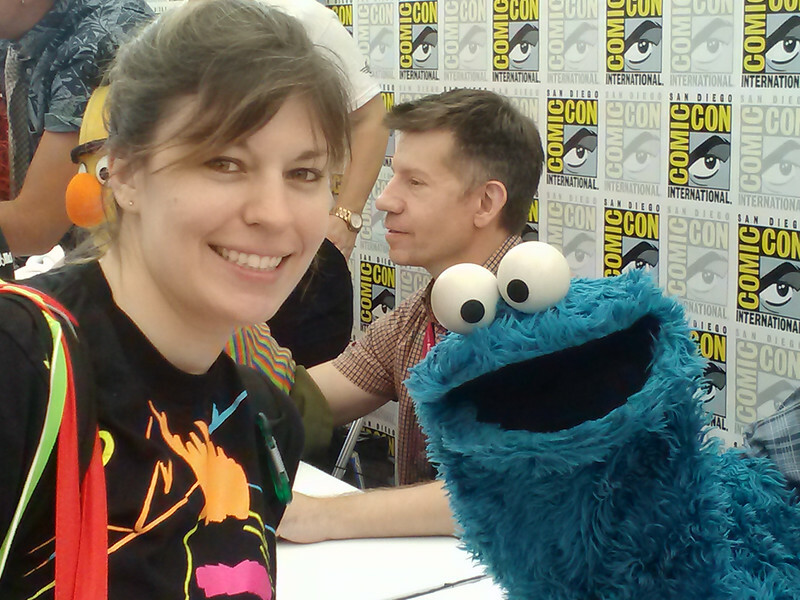 Sesame Street & Pop Culture: 45 Years of Spoofs on the 'Street,' with EP Carol-Lynn Parente, and Muppeteers Eric Jacobson (Grover and Bert), Joey Mazzarino (Murray Monster and head writer/director), and David Rudman (Cookie Monster and Baby Bear). - the 45th season begins September 15th, and upcoming spoofs include Game of Thrones, Age of Ultron, and House of Cards. - we saw the Numeric-Con spoof for Comic-Con and the Star S'mores spoof for Star Wars. - the episodes that center around incarceration, deployed parents, etc. are handled by a different writers' group than the main episodes. - Grover is the Ryan Seacrest of Sesame Street... he has like seventeen jobs! 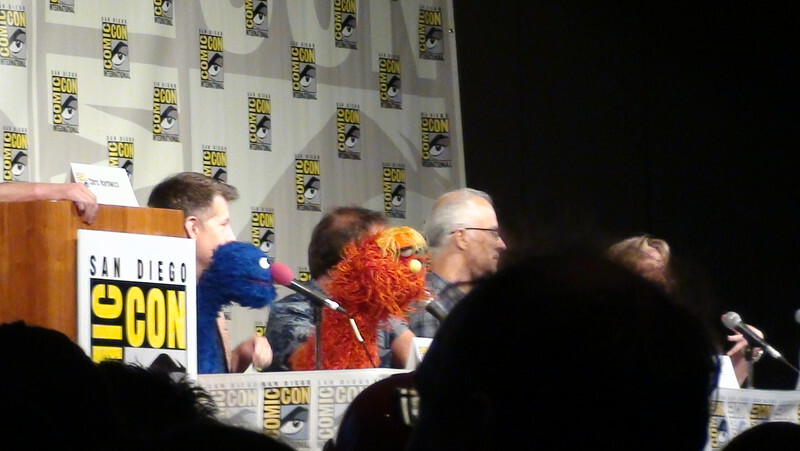 - If the panelists had to choose another Sesame Street character to accompany them in line, Murray would choose Snuffy, Grover would choose Murray, and Cookie Monster would choose Herbert Birdsfoot (a Jerry Nelson Muppet from the 70s). Sesame Street Autographs, with David Rudman, Eric Jacobson, and Joey Mazzarino. - because the autographs were pre-signed photos, fans were able to chat with each Muppet/Muppeteer and take photos as we moved through the line. That was more exciting than I expected, but I wish I had brought someone with me, because the front-facing camera on my phone doesn't have the best resolution. ** find more pictures of these panels, plus others, the exhibit floor, and off-site events at our SmugMug site!